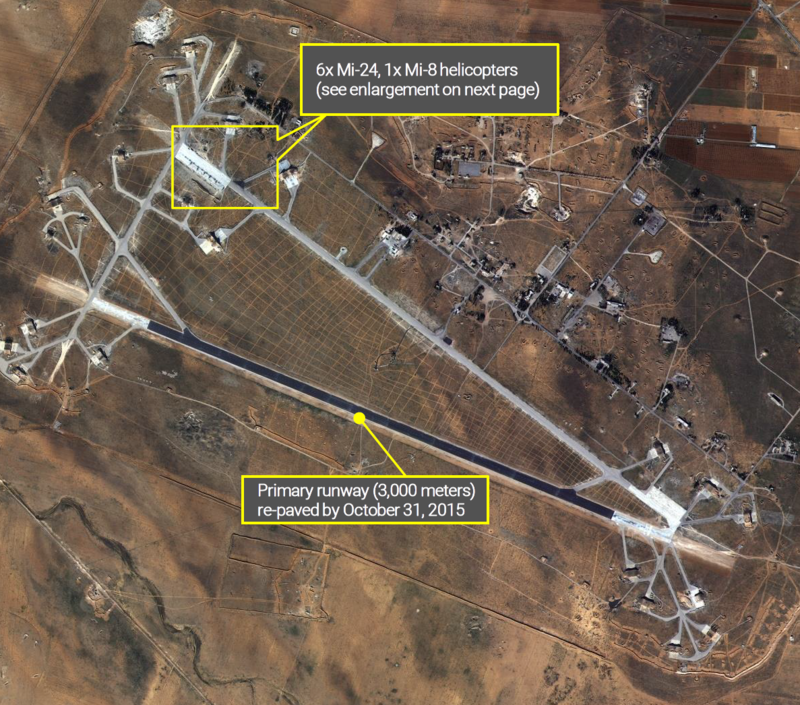 This imagery report uses a KOMPSAT-3 satellite imagery captured on December 10, 2015 to document ongoing activity on Shayrat Airbase in Syria. In the image above, you can see 6x Mi-24, 1x Mi-8 helicopters at the airbase. Moreover, the primary runway about 3,000 meters has been re-paved by October 31, 2015.